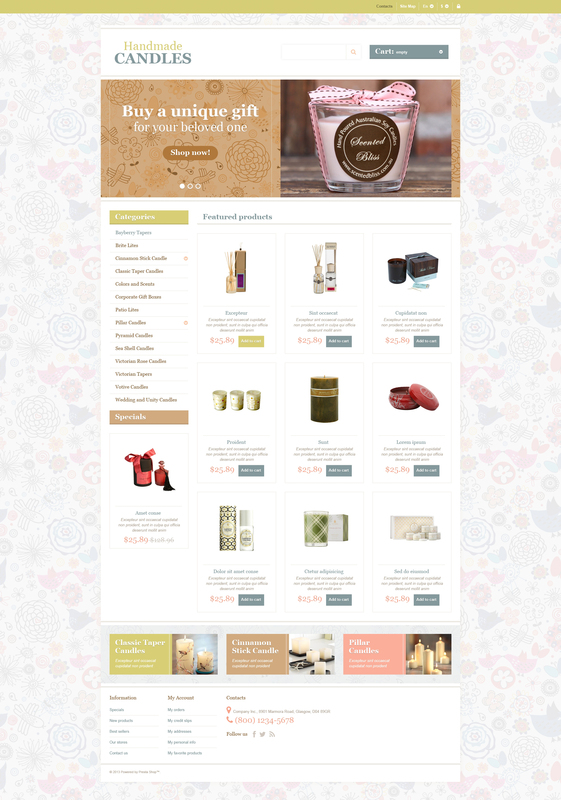 Share the warmth of your hands and hearts with the community offering your handmade candles online. Simple primitive pattern in the background looks very original. Slider promotes unique store offers. Product categories menu is placed in the left sidebar as well as specials block. Banners are arranged under the content area. Featured products come with descriptions. Really good template for a candles or bath salts shop. The colors work very good. Hi! Don&acute;t work version 1.6?